Amid a lot of hype, Gor Mahia announced that they had signed a Brazilian by the name of Giovanni Rodriguez Bissolli. The picture above was circulated in the media. 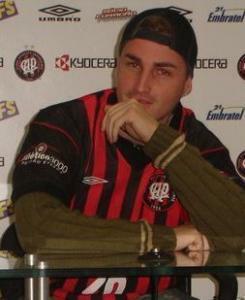 The video of Rodriguez posted online made him look like a true Brazilian playmaker. 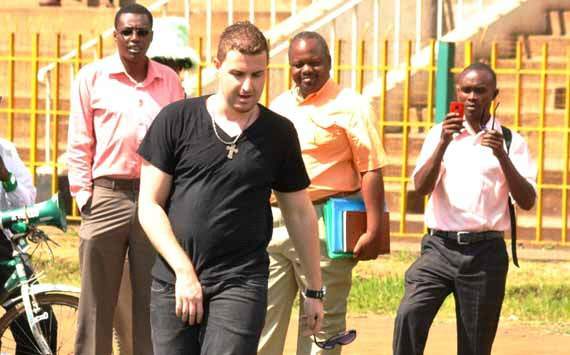 Fans waited with anticipation, most in disbelief that a Brazilian would choose to join Gor Mahia. I bet KPL rivals were in panic. But when Rodriguez arrived, fans experienced cognitive dissonance as this Rodriquez was out of shape and looked nothing like what they had seen in online videos and pictures, nor could he play like the person in those videos. Its not even clear if they are the same person. 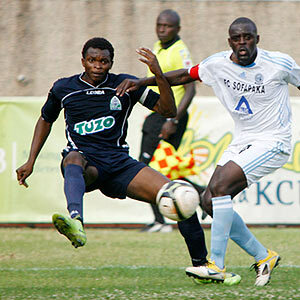 During the 2013 season opener, Edwin Lavatsa was in fine form, often he left James Situma for dead. His cross was met by Raphael Kiongera who finished with a classy backheel to give Gor Mahia a 1-0 win. After a dissapointing scoreless draw in Nairobi, Gor Mahia beat Anse Re-Union in resounding fashion in the return leg played in Seychelles. Gor mahia played ENPPI of Egypt. Due to insecurity in Egypt, no fans were allowed in the stadium. Still Gor Mahia had no answer for ENPPI who won 3-0. Gor Mahia are said to have created numerous opportunities but poor finishing doomed them. Rama Salim is congratulated by Innocent Mutiso and Dan Ssserunkuma after he converted a penalty to give Gor Mahia a 2-1 win over KCB. Coach Zdravko Logarusic celebrates after Gor Mahia scored against the run of play against arch rivals AFC Leopards. His opposite number Luc Eymael was unhappy with Loga's wild celebrations. Logarusic never lost to AFC during his tenure at Gor Mahia. 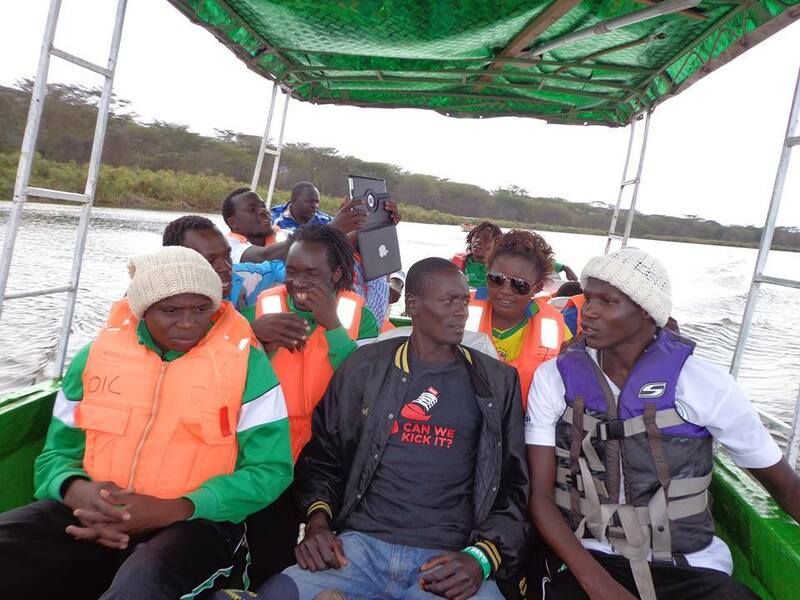 During his stay in Kenya, coach Logarusic was a very popular man with the ladies. In June 2013, the Standard did an exposee indicating that Loga had been carousing with several women including the members of Kenya's volleyball team and even hitting on some of his player's girlfriends. Kevin Omondi outruns David Ochieng Cheche of Tusker who were a tough nut to crack for Gor Mahia throughout 2013. The two teams played 4 times. Three ended i in draws and one in a win for Tusker. Defender David Owino had a knack for scoring crucial goals. 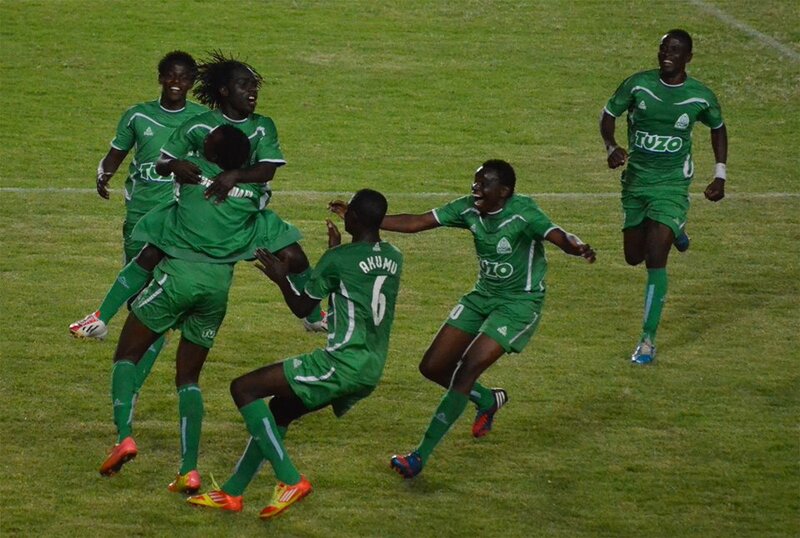 In the second leg derby, Gor Mahia looked dead and buried before Sserunkuma scored followed by Owino's equalizing goal. He is seen here celebrating with AFC players despondent. After 18 years , it was time for Gor Mahia fans to celebrate again after Gor Mahia won the Tusker Premier league.